The Big Idea: In today’s world, where geography doesn’t matter, tribes are thriving. Tribes are about connection and caring. Leaders of tribes build connection and caring into the tribe. Human beings need to belong. You can’t have a tribe without a leader, so learn about leadership. Everyone is expected to lead. Geography used to restrict the boundaries of tribes but the internet changed that. Leadership is pulling, not pushing. It’s better to make the rules than to follow them. Leadership is not management. Management is getting things done. Leadership is about creating change and inspiring people. Leaders are not afraid of change. Authority does not equal leadership. 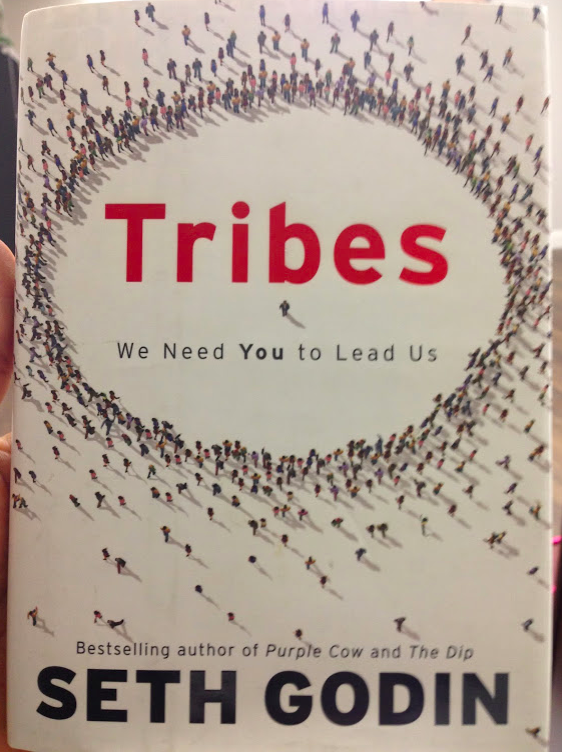 Two things to turn a group into a tribe: shared interest, a way to communicate. A leader of a tribe encourages members to communicate with each other. Tribes aren’t about stuff. They are about connections, in the context of a shared interest. A crowd is a tribe without a leader and without communication. An artist needs 1,000 true fans. A corporation needs more than 1,000 but fewer than it thinks. True fans are much more important than average customers. Real leaders give back generously to their tribe and help the tribe grow closer. Change is made by acting first and asking for forgiveness later. The best followers are not blind sheep but vibrant fanatics. One person with a persistent vision can make changes happen. Industries don’t die by surprise. The signals are always there. Life is too short to be unhappy and mediocre. Publish a manifesto, connect with followers, encourage followers to connect with each other. It’s powerful to exclude outsiders. Be willing to be wrong. Being wrong isn’t fatal. The big win for nonprofits is turning donors into patrons and activists. Encourage donors to network and volunteer. And vice versa. Caring is the emotion at the center of the tribe. Members of a tribe care about the tribe and each other. The secret of effective leadership is to first listen deeply. Success and change happen a little at a time. Drip, drip, drip. It takes time. You can’t bring permanent change in from the outside. Real leaders don’t care about who gets the credit. There’s no record about Martin Luther King, Jr., or Gandhi whining about credit. The Big Idea: The presence of cognitive biases means we don’t always act rationally. 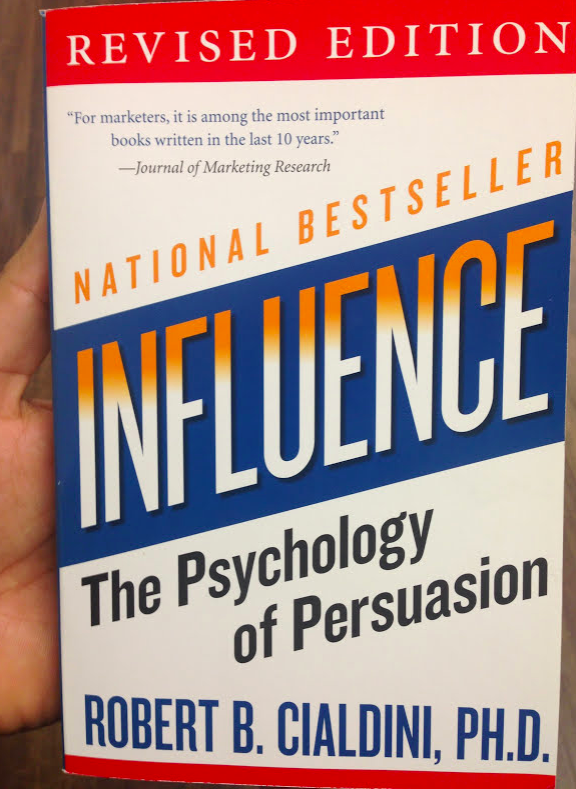 Cialdini outlines six weapons of influence which can be used to influence behavior. Even if you aren’t a salesperson, you are a consumer so it’s good to be aware. We tend to reciprocate a favor, even if it is unsolicited. Start by asking for a large favor and then expect a concession to the real favor you want. Selling down works better than selling up. After making an initial choice, we tend to stand by that choice over time. People usually don’t switch sides after they have committed. In a debate, start with a small area of agreement or concession and build from there. People want to stay consistent. We are more consistent in our commitment if we did it for our own purpose rather than from external reward or pressure. Examples: canned laughter, tip jars, Jonestown, peer learning, bystander effect. People want to please others whom they like. Attractive people are more persuasive. People like others who are similar to them. Establish a connection between your product and an attractive or winning person. We obey authority mindlessly in many cases. Titles, uniforms, and appearances convey authority. Losing something is more painful than gaining something. Something that is hard to obtain is more valuable than something that is easier to obtain. People fight fiercely to retain something they worked for. Indifference towards a lover becomes passion when a rival appears. Scarcity+rivalry drives up prices in bidding wars. Always mention a rival buyer when selling something. The Big Idea: Follow the four seasons in your life. In the spring, you plant new seeds. In the summer, you work the land. In the fall, you harvest the crops. In the winter, you let the soil rest. Don’t be so ego-centric to think you can beat laws of nature and laws of physics. We will all get older and die, so get moving today. Starting a business is like having a child. The first year keeps you up at night. The second year is like the terrible two’s. Eventually, your business will take care of you in your old age. It took 50 years for Warren Buffett to become a billionaire (7 => 57), so start now. Becoming a millionaire takes time. Most entrepreneurs move around too much, stick with one thing. It might take 10,000 hours to obtain mastery. It might take 10 dark years to become a successful artist. Follow the four seasons in your life. Mass media shows us stories of successes (autumn) but never shows us stories of hard work (summer). During the summer, work the land (plan and work). During the autumn, harvest the crops (collect the rewards). During the winter, let the soil rest (read and rest). During the spring, plant seeds (experiment and test). Long hours and hard work will be required during certain times in your life or business. Don’t forget to appreciate each season while you’re there. Tai Lopez is an entrepreneur, investor, and blogger who runs an awesome online book club. 67 Steps is a lecture series teaching how to be successful in health, wealth, love, and happiness. The Big Idea: High potential people stumble in their careers most often because of a lack self-awareness of their own strengths and weaknesses. Fantastic advice in this book. Many high performers are completely unaware of their weaknesses. 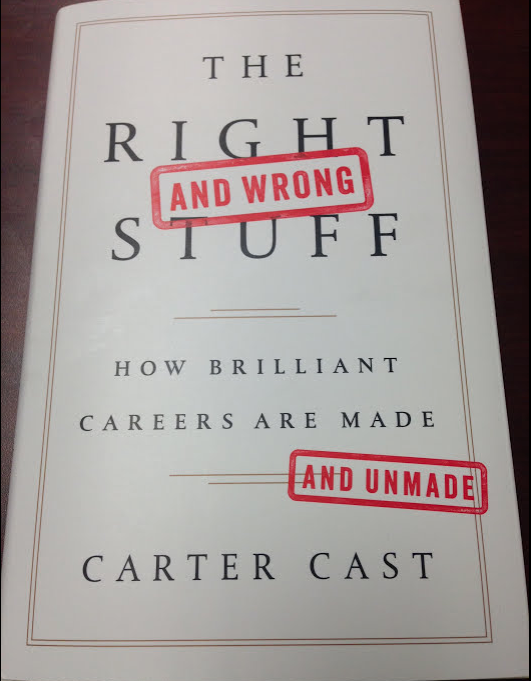 The book has specific advice and tools to help address weaknesses that could derail a career. High performers: love learning, have high emotional intelligence, and have lots of perseverance. Understand what motivates you and find the right job and organization for you. Five key motivations: achievement, affiliation, power, autonomy, and purpose. No one is going to care as much as you about your own development. Seek knowledge, feedback, and mentoring.